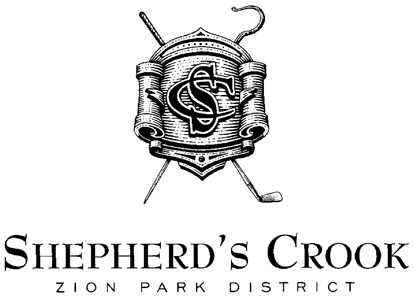 Click here to visit the Shepherd’s Crook Golf Course website. The Golf Scene: Shepherds Crook 2018 from Ian Ryan Interactive on Vimeo. Shepherd’s Crook Golf Course is an 18 hole championship course. It’s located on Greenbay Road, 1/2 mile south of Russell Road. The course features wide bent grass fairways and large undulating greens. Its design fits naturally to the terrain and feels like it has always been part of the landscape. The fairways are separated with berms of native prairie grasses. There are a few water hazards and natural wet land areas to make every golfer a little cautious. The clubhouse is available for golf outings, as well as private parties. Course conditions as well as reasonably priced greens fees make Shepherd’s Crook a very popular golf destination. For further information please call 847-872-2081. For tournaments, additional information and golf specials please go to www.ShepherdsCrook.org for Guaranteed Lowest Rates and all the latest information. 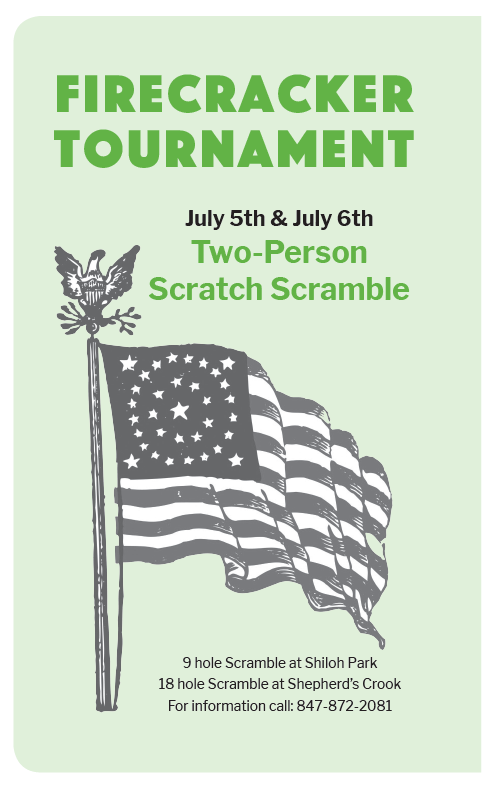 The Firecracker is a 2 Person Scramble golf tournament, 27 hole scratch held at Shiloh Park & Shepherd’s Crook golf courses. The tournament will start on June 29th at Shiloh Park golf course with tee times starting at 2:00 pm and will conclude at Shepherd’s Crook golf course on June 30th with tee times starting at 7:00 am Shotgun. The entry fee is $75 per person, which includes 9 holes at Shiloh Park Golf Course and 18 holes of golf, cart and lunch at Shepherd’s Crook. For further information please call 847-872-2081. BOOK YOUR 2019 MEETINGS, SPECIAL EVENTS OR OUTINGS TODAY! Looking to organize a wedding, business meeting, charitable event or even a bachelor party? Be sure to remember Shepherd’s Crook when scheduling your summer events! To learn outings and events packages call 847-872-2081. $1,750 includes unlimited golf with 1/2 riding cart! This pass also includes Greens Fee at Shiloh Park Golf Course! $69 pass entitles the holder to $5 off any green fee, any time! Passes are not valid on League, Outing or Event play. For Additional information, please call 847-872-2081. DELIVERING THE ULTIMATE INDOOR GOLF EXPERIENCE! Call the Pro Shop for Additional Information 847-872-2081. Shepherd’s Crook Eden room with its picturesque views provides an elegant setting surrounded by floor to ceiling windows and access to the veranda. With views of the golf course and the 9th and 18th greens backing up to the clubhouse, Shepherd’s Crook Golf Course is the perfect setting for your next event. We specialize in corporate outings, weddings, rehearsal dinners, bridal or baby showers and reunions . Whether for business or personal entertaining Shepherd’s Crook Golf Course would be honored to host your next special event. The Eden room will seat up to 100 guests. Bartenders are included in the rental and all events must be catered. To learn more please call 847-872-2081 to schedule your next event. for Guaranteed Lowest Rates and all the latest information. SHILOH PARK GOLF COURSE is located at the corner of 23rd St. & Bethesda Blvd. A par 35, 2,900 yard, nine hole golf course. The course offers a variety of special events and season memberships. Events are scheduled throughout the season beginning with the St. Pat’s Golf Tournament in March and ending with our Annual Gobbler Golf Tournament in November. Dress Code: Shoes and shirts must be worn at all times. Shiloh Park Golf Course is a soft spike facility. Soft spikes or tennis shoes only. 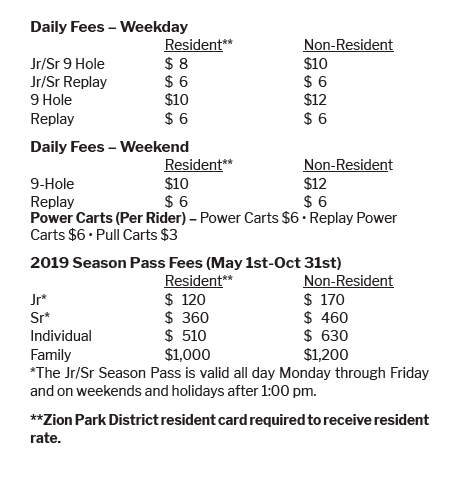 Zion Park District Residents: 10 days in advance. Non-residents: 7 days in advance. All reservations must be accompanied with a valid credit card and home telephone number. Cancellation Policy: All reservations must be cancelled 1 day in advance of the reservation, e.g., Friday for Saturday reservation. Failure to cancel the reservation in the allotted time period may result in the credit card holder being charged for the maximum fee of the reservation. For tournaments, additional information and golf specials please go to www.shilohparkgolf.com for the guaranteed lowest rates and all the latest information. There will be an informational meeting at the golf course clubhouse at 9:00 am on Friday, June 14th with golf to follow. The league plays on Fridays. Register at the golf course clubhouse. Cancellation Policy: All reservations must be cancelled 1 day in advance of the reservation, e.g., Friday for Saturday reservation. Failure to cancel the reservation in the allotted time period may result in the credit card holder being charged for the maximum fee of the reservation. 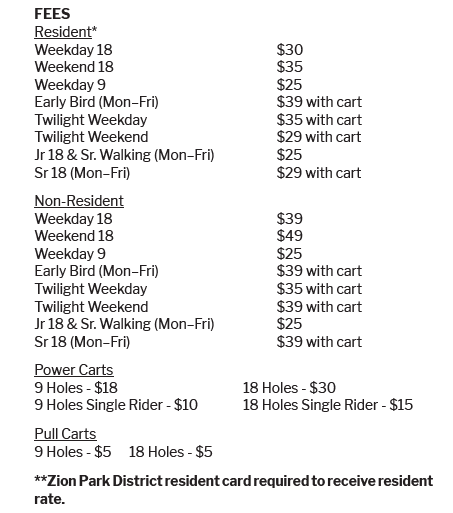 www.shilohparkgolf.com, www.zionparkdistrict.com or by email blasts.